While supplies last, hop on over to eBay.com where you can snag a Sony PlayStation Plus 1 Year Membership Subscription Card for only $46.99 shipped (regularly $59.99)! Your PlayStation Plus Membership offers you access to exclusive online features and benefits on PS4, PS3, and PS Vita systems. Even sweeter, you’ll get FREE PlayStation 4 games every month and have access to exclusive PlayStation Store sales and discounts! Check out these video game deals! Join me Monday night for our weekly Live Q&A. We get started at 8:30 pm eastern and will be talking all holiday deals! 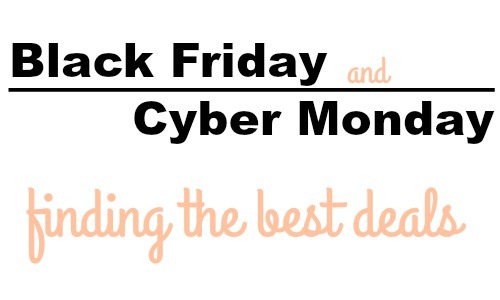 Find out who has the best deals, when to start shopping and tips for saving more. Follow along on Facebook, right here at the top of Southern Savers or on YouTube. Through November 12th, Target is offering 40% off GE HD Light Bulbs with this Cartwheel offer. Plus, all GE lightbulbs are already on sale! Keep your home smelling great with these Yankee Candle deals! Hop on over to Amazon or Walmart.com to snag this LEGO Classic Fun Future Building Kit for just $6.99 (regularly $9.99) – lowest price! If shopping from Amazon, shipping is free for everyone! This special edition LEGO set features 186-pieces and offers different degrees of building complexity which is great for a beginner LEGO builder. It also comes with one LEGO Minifigure and is suitable for children 5 years of age and older. Through December 1st, hop on over to ULTA where they have stocking stuffers on sale 5 for $5! You’ll find items like nail files, hand lotion, lip balm, bath & shower fizzers and more! Shipping starts at $5.95 or is free on orders over $35. We’re sharing all the best Academy Sports + Outdoors Black Friday 2018 Deals so you can save LOTS of money and LOTS of time! Many of these deals will be available at Academy.com starting at 10 pm EST on Wednesday, November 21st, and in stores starting at 5 am local time on Friday, November 23rd through Saturday, November 24th. Doorbusters will be available in-store only on November 23rd, while supplies last. Even better, when you spend $100 – $249.99 on YETI products, you’ll receive a $25 Academy Sports gift card, or receive a $50 Academy Sports gift card when you spend $250 or more! When you make any purchase between 11/23 & 11/25, you can return to the store between 11/30 & 12/29 to receive $10 off an in-store purchase of $50 or more. Head here to view the full Academy Sports + Outdoors Black Friday ad. Final Cost only $299.99 total + a FREE Rossi RS22 22 LR Rimfire Rifle! Shipping is FREE on most orders over $35; otherwise, shipping is $3.99. Pair these offers together on advent calendars to save on rarely discounted items! This set includes 25 Mini ”Tsum Tsum” plush toys bedecked in holiday attire! Mini ”Tsum Tsum” plush characters include Mickey Mouse, Minnie Mouse, Stitch, Angel, Pluto, Figaro, Goofy, Daisy, and more. Little ones love Christmas, and they’ll be excited to count down to the big day with this Disney Animators’ Collection Littles Advent Calendar. The 24 pieces include lots of their favorite Disney characters, accessories, and holiday-themed items. These sets include a pair of socks every day for 12 days! Each set has numbered and decorated gift boxes with new Disney characters inside for each day. Score Disney Toy deals at Amazon today! 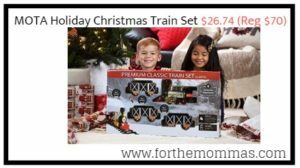 The post MOTA Holiday Christmas Train Set $26.74 (Reg $70) appeared first on FTM. Hop on over to Amazon or Walmart.com where you can score this Lodge Seasoned Cast Iron 5 Piece Bundle for just $61.33 shipped (regularly $150). Made in the USA, Lodge Seasoned Cast Iron pieces are perfect in the oven, on the stove, on the grill OR over a campfire! Each piece is seasoned with oil for a natural, easy-release finish that improves with use! 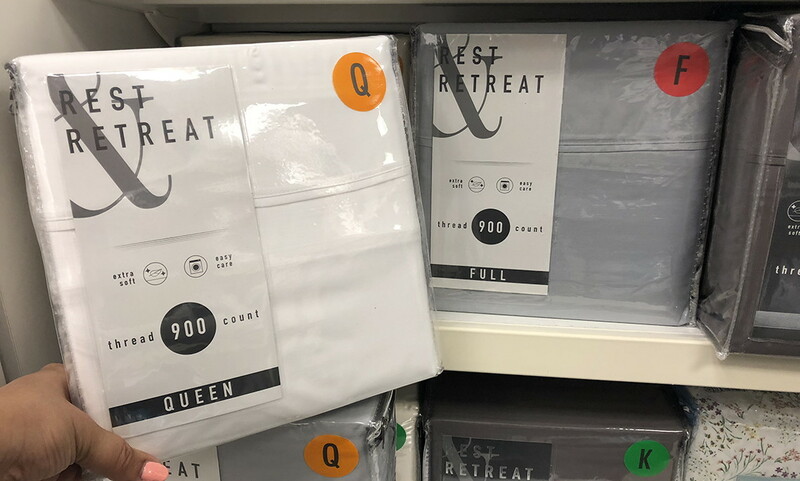 Rest + Retreat Sheet Set, Only $42.49 at Kohl’s! Visit Kohl’s to save on a Rest + Retreat 900-Thread Count Cotton Rich Sheet Set! Plus, use code NOVHOME10 to get $10.00 off your order of $50.00 or more, and use THANKSVETS to get 15% off all purchases. up next: Biddeford Electric Throw, Only $42.49 at Kohl’s! The post Rest + Retreat Sheet Set, Only $42.49 at Kohl’s! appeared first on The Krazy Coupon Lady.